If you don’t know who Dracula really is in the Castlevania series we will not spoil it for you. But if you want to learn how he came to be and where the Belmont family fits in with the feud then you need to play the Lord of Shadows series. A man named Zobek has tracked down Dracula and purposes an alliance. If Dracula helps him destroy the great evil that is returning to destroy both of them, then Zobek will give the Princes of Darkness, the one thing that Dracula wants, a true death and end to his immortality. This great evil will be hunting them both and the two of them could be the reason this evil is returning in the first place. Dracula accepts but he is weak and does not have his powers. He must regain his Chaos Claws and the sword that hold his Void Magic. Both seem to have been taken while he slept, and Zobek knows where to look. 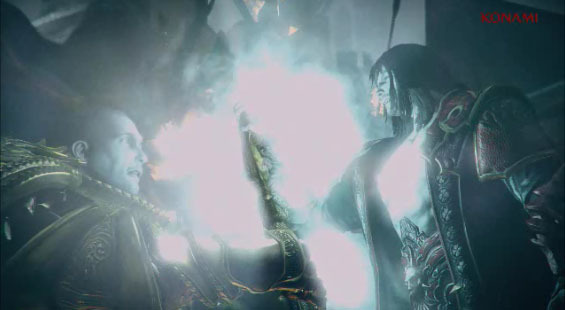 Castlevania Lords of Shadow 2 is a major step up from the first game. The control and camera issues have all been fixed and the action is faster and much more fun to play. 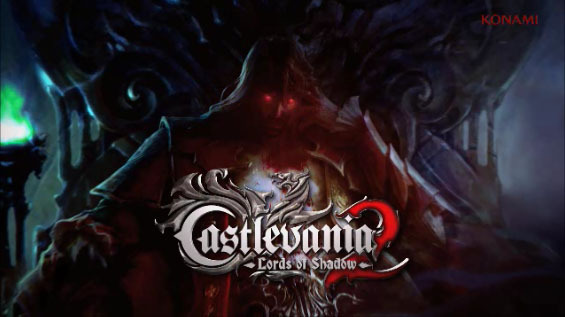 The game jumps back and forth from modern day in Castlevania City, a lively yet Gothic looking area and the medieval dark ages inside of Dracula’s castle before his century’s long sleep. Robert Carlyle from Once Upon a Time and 28 Weeks Later returns as the voice of Dracula. Patrick Stewart also brings the intelligent story to life with amazing voice acting as one of Dracula’s untrusted allies Zobek. Story telling elements catch your attention. This is one of those games that you want to defeat the level and find out what is going to happen next to the characters in the upcoming CGI scene. 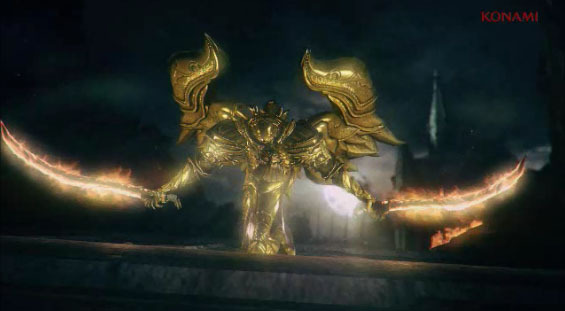 There are several great boss battles throughout the game and some normal sized ones too. Gone are the awkward camera and controls of trying to defeat huge bosses you have to climb. They are replaced with fast action combat where you do a lot of hacking and slashing but they are very fun and done extremely well. Castlevania Lords of Shadow 2 has large areas and places to explore with secrets hidden everywhere. Most of the first game the paths are really linear with very little extra areas to checkout. In Lords of Shadow 2 you can return to any spot you have already explored. You get different powers as you go forward, so when you back track to areas you have already been to you can get into hidden areas. The game is not necessarily open world but it is a bit of a hybrid. This is a brilliant ending to the Lord of Shadow with an outstanding and very satisfying conclusion to the series. We hope that they will find a way to bring a new story to the Castlevania because there is so much left that can be done. The game took us a little over 17 hours to get through our first time. Lords of Shadow 2 has pretty high replay value, it is just an excellent game and after you defeat the final boss you get to keep playing and exploring if you want. There is also a New Game+ mode if you decide to restart the story and keep all of your upgrades. Worth spending your money even at new game new release prices around $50, we just hope there will be more games like this coming from Castlevania and we would love it if the voice talent also returned.